The thing that actually makes Giana Sisters so cool and a straight out cult hit, is of course the fact that it is a complete rip-off of Mario Bros. Rainbow Arts, the publisher had to pull the game from the shelves when Nintendo sued them. The lawsuit was to be expected of course as Time Warp Productions did not even try to hide the fact that they copied the game. The box art even stated "The Brothers Are History, We Love Giana's". When it got pulled from the market, it was already released on Commodore 64, Amiga, Amstrad CPC, MSX and Atari ST. And those releases went underground! No longer in stores, so you had to copy it from friends making it a true illegal outlaw game. Now, who wouldn't want to play that rogue game!? 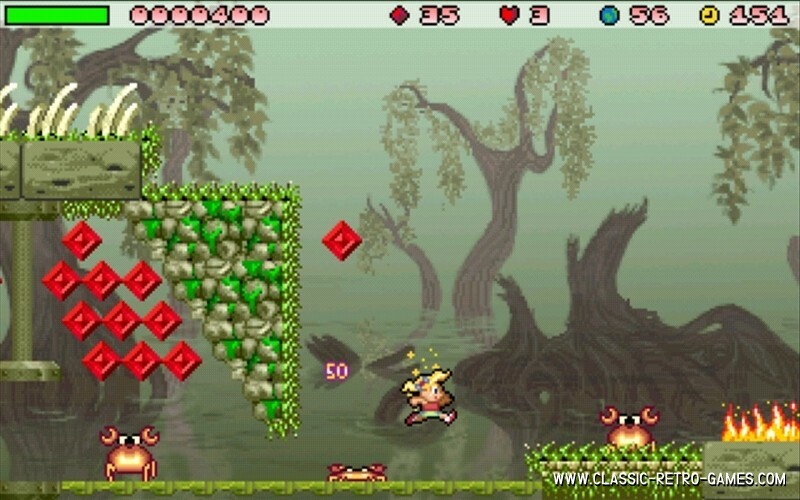 Fun fact though, is that Armin Gessert (RIP), the coder of the original Giana Sisters, released a legal version of Giana Sisters for Nintendo DS in 2009. So apparantly all was forgotten by then. So what about this remake then? It was released some time ago, but runs fine on Windows (32 bit only). The graphics are quite a bit polished though, so don't expect a true C64 remake. 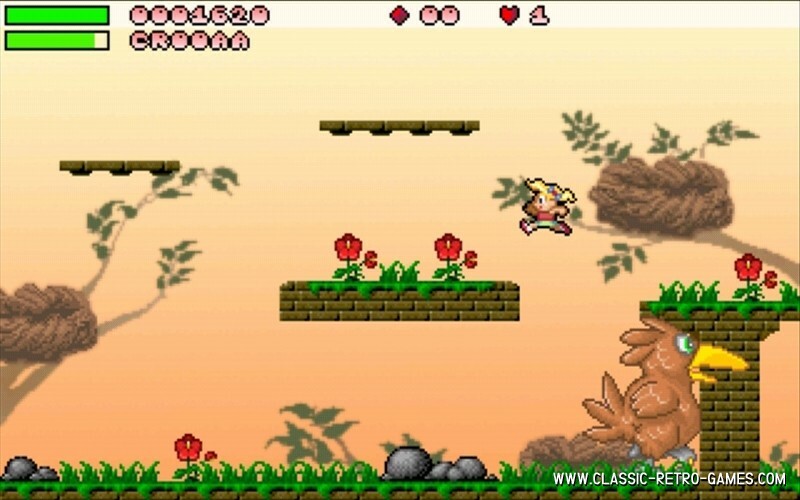 If you want to play Giana Sisters on Mac or Linux check out the link to the developer's website. 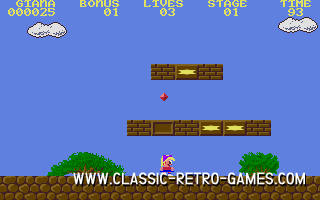 For now: enjoy this free Giana Sisters PC version.